“A disclaimer: I’m generally better at intuitively perceiving certain qualities than writing about them, and failing to state the obvious is often one of my shortcomings. There are many things to consider while selecting a renku verse, especially one as prominent as the moon. It is a good practice not to repeat any of the contexts and actions in which the previous verses appeared. We had a rising moon with music notes in #5 and a first-person insomniac waking again and again, observing the moon lighting different things during the course of the night in #13. Therefore, I was looking for a fresh approach in our final moon verse. Human mind has the ability to perceive familiar shapes almost everywhere. The phenomenon is known as pareidolia. Is there anyone who hasn’t spent some time watching clouds, finding all kinds of animals in puffy cumuli or faces in a towering cumulonimbus? How about that rock formation resembling a face, a sphinx, an old woman? Could it be that the bacterial colonies spreading across this agar plate have formed a smiley face? The moon rabbit has been a subject of tales and legends all over the world. It features most prominently in Asian and some indigenous American folklores. A popular legend has an old man begging for food. Other animals brought what they could gather but the rabbit, having nothing to bring, offered its body as a meal by throwing itself into the fire. The man, turning out to be a deity, saved the rabbit from the flames and rewarded it by putting its image on the moon for all to see. The dark spots on the lunar surface can be seen from anywhere on Earth. Early astronomers mistook them for large bodies of water and named them accordingly. The poet is observing the patterns of the moon’s seas until the magic happens and she can see the rabbit. The moon may but need not be full. A few days before or after the image is just as discernible, and perhaps the observation has been made over a longer period of time. Verse thirty will be an autumn verse, written in two lines, the second in this series of three autumn verses. Verse thirty will also be the final verse in the ha (middle section) of the renku. I’ve heard a variety of ideas about what that might mean in terms of the appropriate tone. As part of the ha, this verse is still in the party section. But there is also the possibility of subtly anticipating the calmness and pleasantry of the Kyu (verses 31 – 36 in a Kasen renku). Verse thirty must link to the twenty-ninth verse (and only the twenty-ninth verse) but it also must clearly shift away from it in terms of scene, subject, and tone. I’m not too sure if apple names can be used. 🙂 thanks, Marietta, I like a mature cheese, but not quite that strong. Well, Ambrosia (with a capital A) can denote  many things these days. It’s not clear here that it’s a species or brand name of an apple. It’s difficult to find how this verse links to the moon verse, though, Carmen . . . even distantly. The rice harvest is in autumn and I imagine the neighbors celebrating into the night under the moon. This would be true in the Philippines or traditional Japan and it is a collaborative time. When I was a student at a Japanese university, there was a class specifically about the songs of rice, Taue. It’s true that a rice harvest might be timed with or not long before  before the ‘harvest moon’, Carmen, and people might join together in song. I admit I’m not particularly au fait with either rural Japanese or Phillipine customs. OK, let’s leave out ‘annual’! That blooming calendar! Fine stanza, Marietta, thanks for the image — but If I remember correctly that meteor shower in N. America at least, is about 11 August. Not autumn down under or here, either. Stickler-Paul. Of course, you are quite correct, Paul. I should have checked my celestial bodies! I once dragged my spouse out of bed at 2am to walk to a nearby beach. We sat on the headland in deep darkness watching a meteor shower for about an hour, heads turning like spectators at Wimbledon. ‘Wow, see THAT one!’ It was amazing and I guess it must have been the Leonids, but of course, that’s our Spring, your northern Autumn. So not a universal seaon indicator at all! Goodbye her verse! Yes, probably “turning under stubble” does echo “freshly tilled”, Marietta. Can only prove that by showing you an early ku of mine … not one of my better ku, but anyway. You’ll get it, I think. When traveling towards Hereford last year, in one of the many ancient cider orchards, I noticed an old tree had fallen over, but not totally severed from its roots, a few scrawny limbs reached upward, I smirked, quite reminiscent of a person who had over indulged, I thought. Thanks for sharing, Carol! I hope you will be able to come up with the right words someday. Maybe you could incorporate your thoughts into a haibun rather than a haiku if you are having trouble paring it all down. 🙂 thanks, Maureen, I’m still on the case. I’m on a Haibun course, so that is a very good idea. You’re welcome, Carol. And thanks. Glad to hear that idea could possibly work for you. Congratulations, Lorin! I had a feeling yours would be chosen. Such a creative, multidimensional, and memorable verse. I’ve been inspired to read more about the moon rabbit. You’re also doing another superb job as sabaki. Your wealth of knowledge is extraordinary. Thanks for all your time and effort. Wonderful job, Polona! Your commentary is so engaging. I’m especially drawn to the idea of a smiley face appearing within those agar plates. Wow. That would make for a most fascinating and chilling haibun. I’m enjoying this renku very much. Thanks to John for all his guidance. And thanks to everyone for making it all so fun and educational. Though we have a variety of suitable verses,  I’m still hoping for more verse offers to come in for this final verse in the ‘ha’ section. It’s the ‘last chance to party’ verse :-). . . after this the publican calls “Time, please, Ladies and Gentlemen!” & it’s the rapid flow to finish. You’re most welcome, Lorin. I love the ‘ha’ section. So much fun! I’m glad to see that you have some more verses coming in. Looking forward to your selection and commentary. you are most kind , Maureen, thank you! An interesting visual link & new topic, Carol.
. . . and yet, Carol, much as I like this verse of yours it has no seasonal reference. Keep it, put it aside for a ‘no season/ all seasons’ spot in a renku or transform it into a haiku. It certainly has potential for either. Many thanks for your comment, Lorin, and  your patient reply. After Betty’s post about oak galls, even though there was no link, I couldn’t help myself. since antiquity. The Greek naturalist Theophrastus (372-286 B.C.) wrote about “gall-nuts” of Syria. droxybenzoic acid) extracted from oak galls. The Dead Sea Scrolls were written in iron-gall ink. Freedom” by the U.S. National Archives, were penned on parchment using iron-gall ink. …’and’, not ‘are’… winter typos! Ha ha!! Shame on me…I chose that earlier one. Thanks for pointing this out, Lorin.
. . . and we have “a cleanup request”. I’m so sorry. I will spend more time comparing each offering with the current renku verses. My apologies for being so careless about this. It is tedious Mary, I know. I suggest you pen your candidate stanza and hold it up as you scroll all previous ones. 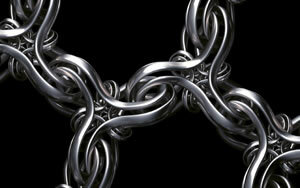 Consider each key word, topic, and method of linking that might be unstated. The longer the kasen, the more to consider… AND the tighter the squeeze to find fresh subjects. It is a wide world and there are a lot as yet not used. A fun part of the game . . . Thanks, Paul. I will do that. I have much to learn. A  good ‘un with an unexpected link & shift, Peter. My one reservation is that John has, to date, insisted on no pause in syntax between line breaks (not just no cut/ no juxtaposition) so this is probably not in the running. Consider writing a version with a change to L1 to overcome this? … ‘between one line & the next’, I mean. This is lost in your latest versions. (Yes I do have a country bumpkin background 🙂  Also “the weight of the Blue Hubbard” all one one line supports/ enacts the sense of a very big, heavy one. It could be done simply by adding an “at” to the end of L1. In can feel the heft via that line break & it brings the verse into compliance with John’s ‘no syntactical pause’ criteria. …goodness,,,excuse typos! Cold, stiff fingers. absolutely, the fall festival kind of thing was what I had in mind. Thanks, Peter. This one’s in the running, then. frizzes out in this fog! My daughter-in-law heads up the USDA department that monitors swine flu…300 hogs had to be slaughtered in Ohio because of suspected new cases. Texted me last night. Sorry, Lorin to waste your time! As soon as I posted I thought, uh oh, flu/petrie dishes/ bugs! Too close. No problem, Marietta. 🙂 It’s a good reminder for everyone participating. Though the following verse will be in the final section of the renku, it will also be an autumn verse that needs to link to (& shift from) verse 30. Since the season, in a sequence of seasonal verses, must progress through the season rather than regress, it’d be a good idea to stay away from ‘late autumn’ verse offerings. And now my electricity is about to go off! Congratulations, Lorin, and an informative explanation, polona. in verse 31 – 36 could the poem imply a subtle use of blossom? Yes, Carol… definitely no blossoms or flowers for this upcoming verse. The blossom verse will occur in the final section, not far off now, and it would most likely be a true spring blossom verse in the final section. Thank you, Lorin and polona for your help. But lettuce would have its ‘kigo’ season (despite that it’s available year round from supermarkets in our time) & without checking, I imagine it’d be mid-spring to summer. This verse needs to have an autumn seasonal reference. Lorin, I really love the phrasing of this verse as well as its idea/image. An excellent choice with a fine explanation. We learn so much here. A masterful choice, Polona. Mary, while I’m guessing you might be alluding to a late autumn (in the Northern hemisphere, anyway) practice/ celebration here (Halloween?) . . .  the fact is that ‘new costumes’ in itself isn’t a seasonal reference, as there are many events/ celebrations which inspire people to choose “new costumes”. Ah, you are right. I was alluding to Halloween. I didn’t want to say the word Halloween, so I don’t think there is a way around it. Let’s just delete this offering. I suppose that some people would see it this way. But, just as I was saying that the word “moon” when not referring to the actual moon would not serve as the required kigo here, the word “rabbit” when not referring to an actual rabbit should perhaps not be regarded as an (out of place) kigo. My grandmother first pointed it out to me when I was very little and I did the same for my son, so it has sentimental value for me. The trick is to look for the ears first… unmistakably rabbit ears. 🙂 Here in Australia, the ears point upwards at a slant. I’ve read that in Europe, they point downwards. Now, if we had the moon rabbit “pounding rice” it’d be a Japanese kigo for winter, according to Gabi’s research. Thanks again, Polona…and John, I’ll be happy to take on the task of selecting the next verse. my pleasure, Lorin. i just felt this was the right verse for the slot and i’m glad the seasonal reference is cleared. yes, in the northern hemisphere the rabbit’s ears point downwards. and i’ve also read that face of the man in the moon which is easily recognisable from here is not clearly visible in the southern hemisphere.